Enjoy exceptional lodging during your vacation to Yellowstone National Park. Our convenient location is just west of the park in Montana and only 4 blocks from the entrance. When looking for that perfect lodging experience, One Horse Motel offers a charming and personal stay. Stay in your very own accommodation and enjoy peace and relaxation after a long day of attractions and fun in West Yellowstone, MT. 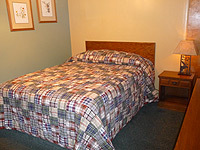 Lodging with us will leave you with a memorable and enjoyable lodging experience. From our comfortable accommodations to our exceptional features, you'll find all the conveniences needed to complete your stay in West Yellowstone. 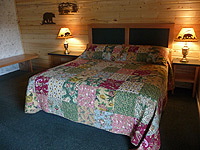 Enjoy your West Yellowstone, Montana vacation to the fullest and choose lodging with us. Check our rates and availability and start planning your vacation today! For more information on our policies, be sure to read to our Policies Page.